By 2015, the two law campuses for Pennsylvania State University are planning to operate as separate accredited campuses. The two locations are in State College and in Carlisle. This was first reported by the Philadelphia Inquirer. Pennsylvania Governor Tom Corbett and commissioners from Cumberland County originally opposed the plan from Penn State to discontinue offering the first-year program at the campus in Carlisle and instead have upper-level classes and international programs at the Carlisle campus. This was noted by the dean of the school, Philip J. McConnaughay. The plan called for the first-year program being offered at the State College campus. “It looks pretty clear we won’t get the permission we need to succeed,” McConnaughay said. Penn State has proposed the changes to its two law school campuses because of national trends that include the decline in the market for legal services and a decrease in law school applications. Penn State has already made the decision to drop its enrollment for its first-year program to under 500 students, a drop of 150 students. According to the dean, the law school will now lose $6 million in tuition revenue to go along with the existing annual operating deficit of $5 million, which has already been subsidized by the university. In 2000, the Dickinson School of Law in Carlisle merged with Penn State. 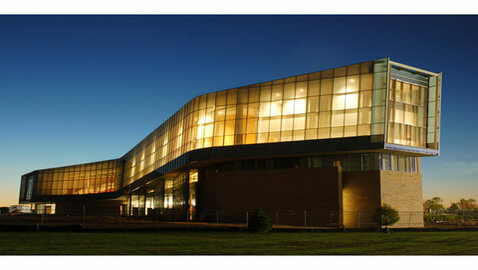 In 2009, Penn State opened a $60 million law school on the main campus in State College. The Cumberland County Redevelopment Authority provided Penn State with a $25 million grant in 2008 to improve the campus in Carlisle with the agreement that programs for first, second and third-year students would remain in Carlisle through 2025. “We wanted to be released from the requirement,” McConnaughay said. On Tuesday, the office for Governor Corbett said that it is opposed to the plan from Penn State and that it just learned of the plan. “We’re examining that proposal to see if it honors the previous agreement,” said spokeswoman Janet Kelley. McConnaughay said that with the new plan, the schools would still be part of Penn State but would have different administrations and different deans. McConnaughay would be in charge of the law school at State College. He also said that all of the students enrolled at the law schools right now would graduate as part of the unified law school. Following 2015, students would obtain degrees from either Penn State Dickinson in State College or Penn State Dickinson in Carlisle. The American Bar Association still needs to approve the plan before it can officially be put into action. “This will allow the schools to pursue different missions,” he said.